From the contractions department... After having been to enough concerts, you can quickly tell from the moment you walk up to the venue gates whether the night will be another check mark in the list of concerts seen or one of those really memorable shows you'll be talking about for years to come. 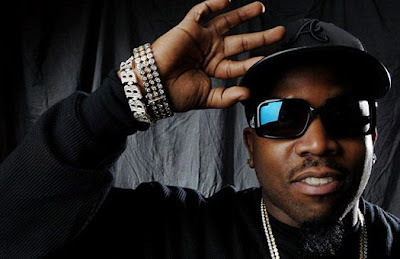 Last night started off with a phone call from "D", a coworker, who was to join me at the Big Boi show, "My wife's having contractions so I think I'm going to play it safe tonight and make sure she's ok." My coworker's wife is just a couple weeks away from her due date and we would joke about him having to miss the Big Boi show because of it. So it really didn't come as a shock but you're always amused at the timing. As my girl and I drive down East 6th, you can see the energy and the vibrancy of the hoppin' Austin night life. Party goers were running in front of cars holding hands to get across the street either driven by the excitement of getting to their destination or just that needed relief of a port-o-potty. After parking the car, we walk up to the front gates of the Eastside Drive Inn and you could just feel the energy in the air. Peeps where excitedly getting their tickets and wrist bands. The Unspoken Levels team was promoting their upcoming show. I'll unabashedly use the old cliche here, there was definitely a buzz in the air. We walk through the gates and nicely nestled to the right is an assortment of food trailers. I'm always amazed at how large the food trailer phenomenon has become, it's great! As a seasoned partier, you know it's time to get your drink on! Before that, I need to take a detour to the port-o-potty, then I get my drink on. As we stroll through the venue, I'm hit with a familiar thought and feeling, I'm always in awe at the planning and coordination that has to take place to pull a show like this off. Props to the Knuckle Rumbler team! At the Eastside Drive Inn the patrons work a little for the ultimate pleasure of seeing The Son of Chico Dusty. You have to walk down a windy path to arrive at the concert stage where the boys from the Table Manners Crew and the Peligrosa All Stars are getting the crowd hyped. By this time, which was still early, the venue is about half filled and quickly people are filling up behind us. The night air is crisp and chilly so the extra body heat is welcomed. Next, Vonnegutt, Big Boi's own new group, comes on stage and not having heard them before, I quickly dismiss them but then just as quickly, I'm caught by the sound and find myself groovin' to the band. I'm interrupted by a txt from my coworker, "D", saying "Good thing I stayed. At the hospital right now." Wow. But alas, this night is about Sir Lucious Left Foot himself and at this time the air to weed smoke ratio is just about right for Big Boi to make his appearance. Before the show, I was reading reviews of Big Boi's tour and it was given high praise and so I kinda new what to expect going into the show. However, there's nothing like standing in front of the stage with that sweet smell of haze and seeing one of the best live. We are immediately taken down a roller coaster of memories and feelings with old memorable Outcast tracks like "Player's Ball" and coming up for some breaths of air with newer works like "Shutterbugg". Share your Big Boi experience from last night on Facebook!